According to recent socio financial situation of Bangladeshi cities carpets are not too fancy of citizen life style. There are too many middle class family use carpets in their house or offices. Now the carpets have a part of our citizen lifestyle. Carpets are always under our feet and it has accumulated dust and stains day day. Regular carpet cleaning is the very important for our lifestyle. There are no options without a clean, dust free and healthy carpet in the living area of your home or office. Accumulated dust has been helping to spread germs, Bed Bugs and dust mite infestations in your carpets. And it could be a cause of some diseases for your family members. You can tell your maid clean your carpets regularly. But is this enough to protect your family from germs or dust mites? No, you should deep clean your carpets once per year or twice per year. 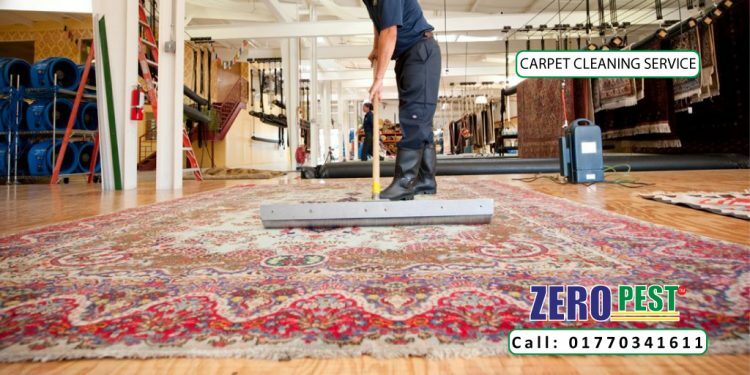 Why Carpet Cleaning Service by Zero Pest™? 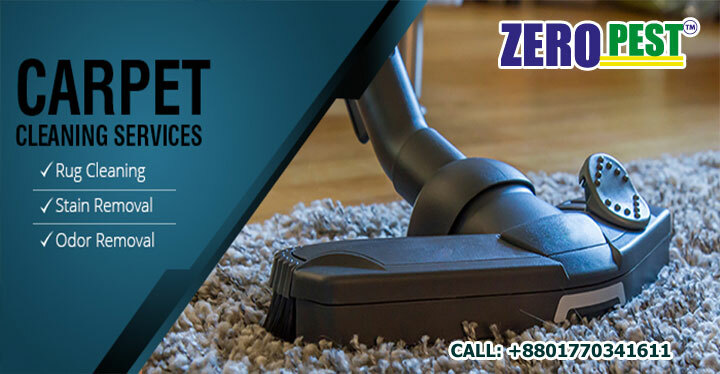 Zero Pest™ has two technologies to deep clean of carpet control service. Dry carpet cleaning service and steam carpet cleaning service. When you carpets have a lot of stains and clutter layer of dust then dry carpet clean service will be must for deep clean of your carpets. Generally steam carpet cleaning is not so popular in Bangladesh. But this 100% chemical less carpet cleaning method and day bay day this method’s popularity has been increasing. Regarding professionalism Zero Pest™ is the most professional services provides company in Bangladesh. Ultramodern equipments, experienced technicians, involving expert supervisor, support after service and friendly management are keys of Zero Pest™ speciality. Zero Pest™ never satisfy until client’s satisfaction.